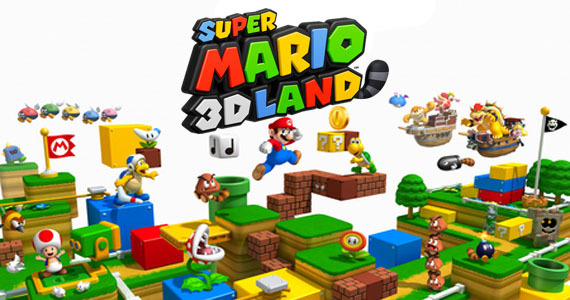 The game is a little 3D love letter to Super Mario Bros. 3. Nintendo’s been milking SMB3 nostalgia for a while now, with New super Mario Bros. and New Super Mario Bros. Wii, but it doesn’t feel stale yet. 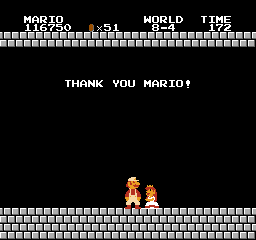 Perhaps because the mechanics behind SMB3 were so solid. Something I really appreciate about SM3DL is the unobtrusive way it tells its story. Raise your hand if you’re playing a Mario game for the story. *waits* Right, didn’t think so. I don’t think there’s any text whatsoever. 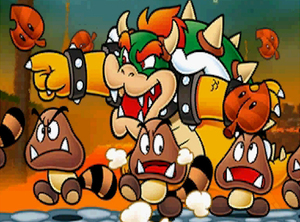 The opening cinema sets up the plot–something about a tree covered in Raccoon leaves, which transforms Bowser and all his cronies into Raccoon-tail-wielding hybrids. Oh, and Peach is kidnapped too, natch. Then, in between each world, Mario catches a little flying envelope from Princess Peach, showing what’s going on at Bowser’s castle. The 3D effects make the photos pop. 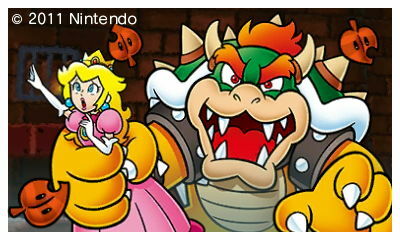 But they also show something interesting: Princess Peach isn’t content to be a damsel in distress this time. She sulks around Bowser’s Castle for a bit, but around World 4, she plots her escape. She even manages to clobber a tower of Goombas with her parasol. And all of this without crying or tapping into her magical PMS powers. This is a Mario game, so of course she gets recaptured and put in a cage, but at least it’s a stylish one. I probably wouldn’t have noticed or cared if I hadn’t recently suffered through Skyward Sword. The bland storytelling of that game was made almost insufferable by the copious amounts of repetitive text you have to scroll through. A lot of times I’m playing a game to, well, play a game. I read a lot of fiction, and many video game stories aren’t that great to begin with. It’s even worse when they’re not well incorporated into gameplay. My favorite video game story of all time is Grim Fandango. What’s yours?